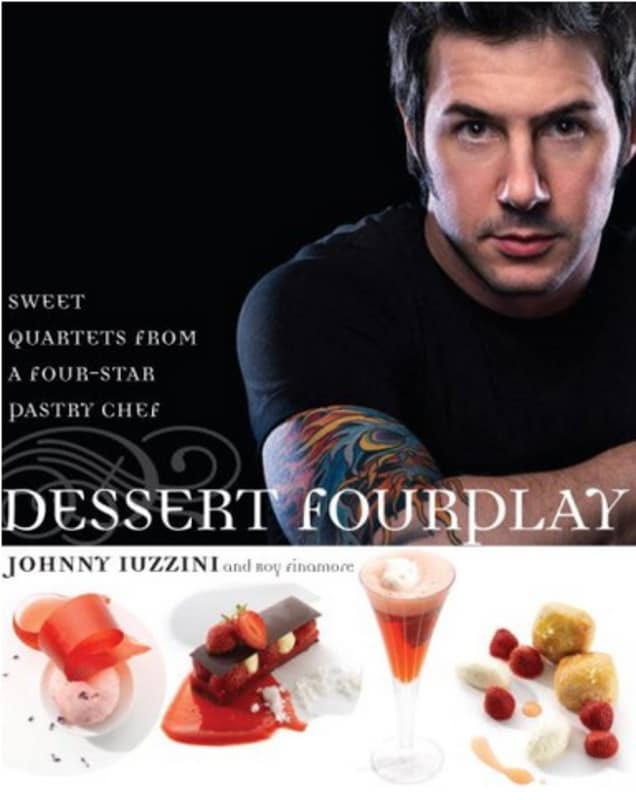 While helping to get the creative juices flowing, Dessert FourPlay: Sweet Quartets from a Four-Star Pastry Chef cookbook by Johnny Iuzzini is a fantastic look at seasonal desserts. If you enjoy experimentation and finding new ways to make old desserts this is a great book. It delivers accessible recipes for incredible desserts that can be served alone or combined into his signature fourplay groupings, a concept that features four dishes for a single ingredient in just the right bite size. Either way, Dessert FourPlay shows you how to create the perfect sweet finale for any meal. Johnny Iuzzini started his successful culinary career as a dishwasher in a country club during high school; in 1994 he graduated from the New York Culinary Institute. Johnny has received many honors including the 2006 James Beard award winner for Outstanding Pastry Chef. He is the author of Sugar Rush dessert cookbook, and is currently the head judge on Bravo's Top Chef Just Desserts. The creations in Dessert FourPlay may be inspired by a single ingredient or by the season, each a collection of delicious tastes, textures and techniques. With the home cook in mind, Dessert FourPlay offers tips on simplifying professional recipes and provides basic recipes for transcendent cakes, cookies, tuiles, ice creams, sorbets, and more. These building blocks can be used to create magnificent multifaceted desserts, or served as perfect desserts by themselves. His passion comes across in Dessert FourPlay; it is simple to read while conveying techniques in an easy to grasp fashion. The layout and quality of the book are great with photos for every finished dessert. Dessert FourPlay invigorates all the senses and inspires home cooks to create innovative desserts of their own. If you want to hone your dessert making skills-this is the book for you!